This review by Robert Loerzel originally appeared in Signal to Noise magazine’s winter 2011 issue. 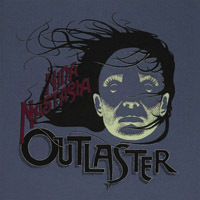 After recording four solo albums, Nina Nastasia gave equal billing to drummer Jim White on her 2007 record You Follow Me — an unusual juxtaposition of strong percussion with acoustic guitar and vocals. Three years later, Nastasia is back with a different sort of collaboration, combining the elegant sounds of a chamber orchestra with her folk rock. Arranger Paul Bryan (who’s worked with of Aimee Mann and others) adapted Nastasia’s songs for string and woodwind quintets. Drummer Jay Bellerose has played with Nastasia before, but his work on this album is most reminiscent of the distinctive beats he has provided in the past for Sam Phillips. Jeff Parker of Tortoise played guitar, and producer Steve Albini captured it all at his Electrical Audio studio in Chicago. Outlaster masterfully mixes all of these elements — often shifting back and forth between strummed guitars and exquisite orchestration within the course of a single song. The strings and woodwinds bring out a wistful quality in Nastasia’s voice. On many of these songs, beginning with the lovely opening lullaby, “Cry, Cry, Baby,” Nastasia’s understated vocals in the verses fly up into a higher register for the choruses. The remarkable number “This Familiar Way” begins with little more than a whisper, before bursting out into a string-quartet tango. The closing track, “Outlaster,” is a pensive lament with a melody resembling an ancient sea chantey — and maritime lyrics to match. Describing a sailor, Nastasia sings: “At peace from drowning, far out he sings: ‘What can forever but misery bring?’” At this moment, the strings and drums are whispering, too — giving space for Nastasia to cry out quietly for the lost sailor. That delicate balance is what makes this album one of Nastasia’s best so far. This review by Robert Loerzel originally appeared in Signal to Noise magazine’s winter 2010 issue. A few years ago, just about any small-label act playing acoustic instruments was suddenly called “freak folk,” whether or not there was anything freaky about the music. Espers really lived up to the description, though, and the band still does on this third full-length album. What makes Espers freaky isn’t the fact these Philadelphia musicians look like hippies and pose for photographs in front of gnarly old trees (although they do). Rather, it’s the band’s distinctive combination of medieval melodies and harmonies with contemporary sounds like the buzzing electric guitars and synthesizers. This psychedelic Renaissance fair vibe is not completely new, having been tried in the late ’60s by bands such as Pentangle, but it sounds fresh and, yes, freaky when Espers do it. After creating some dense layers on its second album in 2006, II, Espers goes for a slightly lighter mix on III. Greg Weeks’ piercing guitar stands out this time as the lead instrument, drilling away at the melodies. Arpeggios on acoustic guitar provide the framework for these songs, while violins and Mellotrons swoop in for dramatic effect. As precise as the musicians are, they almost manage to swing on the faster songs. Weeks and Meg Baird share lead vocals, both of them achieving that floating-in-the-clouds quality of English folk-rock like Fairport Convention. 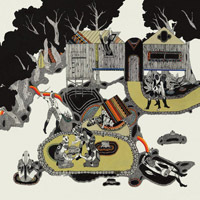 This working title of III was Colony, and the band says the songs were inspired by Werner Herzog’s film Aguirre, the Wrath of God and other tales of colonial conquest and jungle ceremonies. The connections between the lyrics and this subject matter are unclear, but this album certainly inspires mental images of mysterious rituals. This review by Robert Loerzel originally appeared in Signal to Noise magazine’s summer 2010 issue. The human voice made only cameo appearances on the four previous records by composer Padma Newsome and his Clogs ensemble, but it’s at the center of their latest song cycle. Despite going vocal, Clogs still sound more like a classical chamber group than a rock band. These delicate compositions resemble Renaissance ballads or 19th-century art songs more than contemporary pop numbers, with a light, spacious quality shining through even in darker and pensive passages. Newsome wrote these songs during a residency at Giardini La Mortella, a botanical paradise created by Lady Susana Walton on Ischia, an island in the Bay of Naples. (Lady Walton, the widow of British composer Sir William Walton, died in March, just a few weeks after the Clogs released their musical tribute to her garden.) The record opens with stunningly complex a cappella harmonies on the song “Cocodrillo.” Each voice chants the Italian name for a different animal or plant found in Lady Walton’s garden until they merge together — a meticulously plotted and executed cacophony. While Newsome sings at a few points on the album, the dominant voice belongs to guest vocalist Shara Worden (aka My Brightest Diamond). Worden is a classically trained singer, and it shows in her elegant, almost operatic delivery. 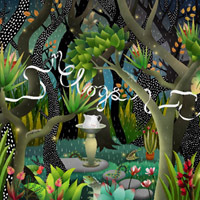 Newsome’s lyrics are often striking, as when (on “The Owl of Love”) Worden sings, “I take in the souls of the minds of the world and sift out the weeds from the few.” Matt Berninger and Sufjan Stevens also make appearances on the disc. Like Stevens, who incorporates Philip Glass-style minimalism into the string arrangements for his folk-rock songs, Clogs are performing beguiling and sophisticated music that erases the lines between genres. 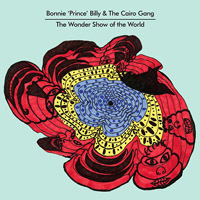 Singer-songwriter Will Oldham is credited to Bonnie ‘Prince’ Billy & the Cairo Gang. Of course, Oldham settled on the Bonnie Billy moniker some years back, and while the Cairo Gang sounds like the name of a band, it’s actually just Emmett Kelly, who’s been a regular member of Oldham’s backup band for the past few years. Kelly plays guitar in a loose, expressive style, and when he performs with Oldham in concert, it looks as if he’s making up a lot of what he does on the spot, taking cues from Oldham’s own performance. That sort of musical communication makes Kelly an ideal partner for Oldham on these studio recordings. Unlike 2009’s Beware, which featured a full band adding colorful and sometimes strange flourishes to Oldham’s songs, this one is spare, with just a touch of understated percussion here and there. It’s yet another solid collection of idiosyncratic, personal songs from this prolific songwriter. Oldham has never sung better, gently catching all the subtle nuances of his melodies. His lyrics read like poetry on the page, but somehow even his archaic turns of phrase feel natural when he sings them. With a little more gloss, “That’s What Our Love Is” could pass for an early-’70s folk-rock ballad by Crosby, Stills & Nash or maybe even a soft-rock hit, but Oldham’s lyrics begin with the ominous line: “Don’t go to bed if you know that something’s waiting to grab you in the night and throttle hope from your heart.” And then he finishes the song by crooning, “I believe these are end times. Wouldn’t it be best to be together then? The smell of your box on my moustache or a crossword on our mind.” Oldham dares to let his mind take him to places other songwriters avoid. On the last track, the elegiac “Kids,” he sings from the perspective of an aging man who’s afraid of moving, fearful of losing his ability to sing. If anything, Oldham sounds more fearless than ever. This review by Robert Loerzel originally appeared in Signal to Noise magazine’s fall 2009 issue. Last year’s Preteen Weaponry came stickered with this bold announcement: “The first piece of Oneida’s much-anticipated ‘Thank Your Parents’ triptych of releases, which will lay bare the band’s colossal vision of a new age in music.” One assumes that they were joking about the huge impact their music would have. After all, the Brooklyn art-rock band has been releasing superb records for many years while receiving little of the attention they merit. And sure enough, the riveting Preteen Weaponry went largely unnoticed by most rock critics. Now that Oneida has released the second part of its trilogy, Rated O, it’s clear that band’s boasts were not completely in jest. No, Oneida is not creating “a new age in music,” but it is certainly making highly ambitious, top-notch experimental rock. Even though Rated O is the middle piece of a three-album triptych, by itself it’s a massive, three-CD set—a triptych within the triptych. Oneida must love things that come in threes. Preteen Weaponry was basically one song divided into three parts, and now, Rated O offers 15 songs split into three distinct sections. The first disc emphasizes electronic beats and circular keyboard patterns, sounding more like a dance record than anything Oneida has ever done. Guest vocals by Dad-Ali Ziai give the opening track, “Brownout in Lagos,” an Afro-beat flavor, but heavy reverb makes it sound like Ziai is fighting against crashing waves of electric noise. Claiming they were exploring the boundaries between what music is considered “organic” and what’s considered “synthetic,” Oneida reportedly built these electronic songs by playing most of those notes live, rather than using sequencers or programming. 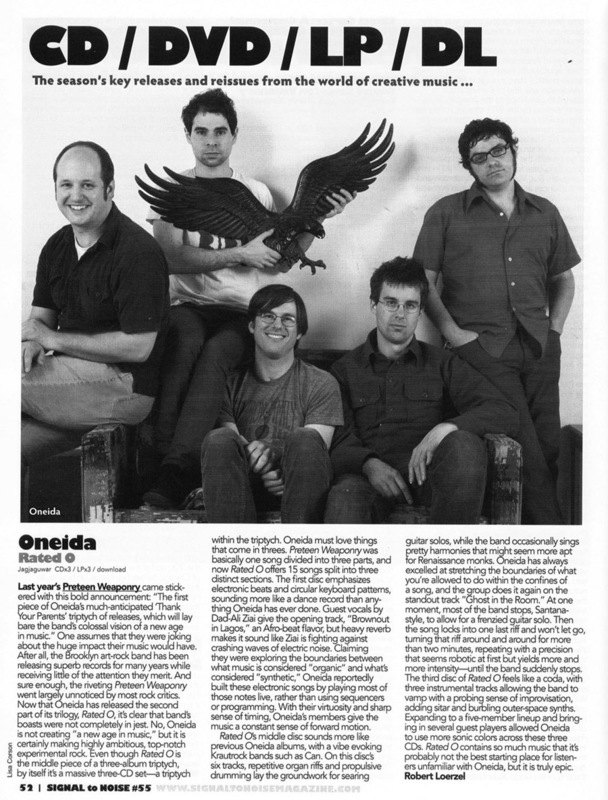 With their virtuosity and sharp sense of timing, Oneida’s members give the music a constant sense of forward motion. Rated O’s middle disc sounds more like previous Oneida albums, with a vibe evoking Krautrock bands such as Can. On this disc’s six tracks, repetitive organ riffs and propulsive drumming lay the groundwork for searing guitar solos, while the band occasionally sings pretty harmonies that might seem more apt for Renaissance monks. Oneida has always excelled at stretching the boundaries of what you’re allowed to do within the confines of a song, and the group does it again on the standout track “Ghost in the Room.” At one moment, most of the band stops, Santana-style, to allow for a frenzied guitar solo. Then the song locks into one last riff and won’t let go, turning that riff around and around for more than two minutes, repeating with a precision that seems robotic at first but yields more and more intensity—until the band suddenly stops. The third disc of Rated O feels like a coda, with three instrumental tracks allowing the band to vamp with a probing sense of improvisation, adding an Eastern flair with sitar and burbling outer-space synths. Expanding to a five-member lineup and bringing in several guest players allowed Oneida to use more sonic colors across these three CDs. Rated O contains so much music that it’s probably not the best starting place for listeners unfamiliar with Oneida, but it is truly epic. Vocals and percussion are the two sounds at the core of this duo from Gothenburg, Sweden. 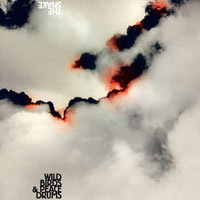 Wildbirds & Peacedrums’ songs often consist of nothing more than Mariam Wallentin singing while her husband, Andreas Werliin, pounds away or ticks off a beat on his drum kit. On The Snake, their second album, the duo occasionally uses other instruments, including steel drum, piano, xylophone, marimba and Rhodes, but those instruments feel secondary to the dynamic combination of drums and human voice. Wallentin calls out her words in a forceful, brassy tone like a blues diva, but she sometimes displays a more delicate side. On “So Soft So Pink,” she softly sings in a chanteuse style not too distant from the work of Feist, although she allows her voice to sink into stranger, throatier depths at the end as she declares, “There is nothing to say about history.” The only clunker here is “Chain of Steel,” with its inane chorus: “She’s got a hold on me/not in a tasty way/she’s got a hold on me/in a nasty way.” Otherwise, The Snake is a solid collection of catchy, rhythmic tunes that stand a chance of breaking through to the mainstream. Some of these songs, such as “My Heart,” would sound great on a movie or TV soundtrack. And yet, there’s also a peculiar streak running through the whole record. Songs that might have been standard pop ballads in the hands of another band break out into clattering drum solos and vocal outbursts that are almost alarming in their intensity. This review by Robert Loerzel originally appeared in Signal to Noise magazine’s spring 2008 issue. 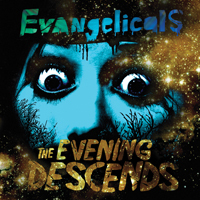 So Gone, the terrific 2006 debut album by Evangelicals, received little of the attention it deserved, perhaps because this oddball outfit from Norman, Oklahoma, did not fit easily into the any current indie-rock category. Evangelicals continue to defy genre boundaries on their second album, playing chords and melodies that might have worked as pop songs and then twisting them into distorted miniature epics of passionately felt emotion and supernatural imagery. The songs almost seem to be fighting their way through a haze of reverb, echoing feedback, twinkling keyboards, harp glissandos, snippets of dialogue and various unidentifiable sounds, but the tunes do make themselves heard. Josh Jones sings about monsters growing inside of him, waking up screaming, encountering skeleton men and going crazy right outside his mother’s door. 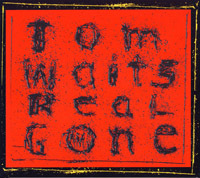 When he alludes to more prosaic pop-tune topics like, say, romance, he delivers lines such as: “When someone loves you very much, you’re fucked.” More than one song includes a proclamation about the end of the world being near. The apocalyptic turmoil in the lyrics gives Jones license to sing with almost unbridled feeling, gliding his falsetto up and down the melodies in search of sometimes elusive notes. As a vocal performance, it’s fearless, even when the strange stories told by the lyrics seem to filling Jones (or his characters) with quivering fright. Jones and his fellow Evangelicals, Kyle Davis and Austin Stephens, bring their wonderfully hallucinatory trip to a hopeful-sounding climax on the keyboard-driven “Bloodstream.” Sure, the song talks about getting shot in the eyes by God himself, but its protagonist wakes up laughing — a feeling the listener may share as the last track fades. This review by Robert Loerzel originally appeared in Pioneer Press on March 2, 2008. The two albums that Portishead released in 1994 and 1997 still sound otherworldly, no matter how many times we’ve heard then. After a long hiatus, the British trio has returned, sounding stranger than ever. As forlorn and heartbroken as always, singer Beth Gibbons manages to sound simultaneously distant, like a beacon from another planet, and close, like a whisper in your ear. 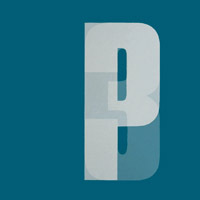 In spite of the occasional ukulele strum, “Third” tends more toward aggressive beats than previous Portishead records, at times resembling a computer simulation of a rivet factory or the weapon in the title of one song, “Machine Gun.” The noise never gets downright nasty, and somehow the combination of sharp sonic shocks with Gibbons’ mournful crooning is soothingly bittersweet. This review by Robert Loerzel originally appeared in Pioneer Press on March 9, 2006. This siren tops her previous records — as excellent as they were — with a haunting suite of gothic folk songs. The calmly macabre cover art sets the mood: A girl and some foxes handling disembodied human heads. 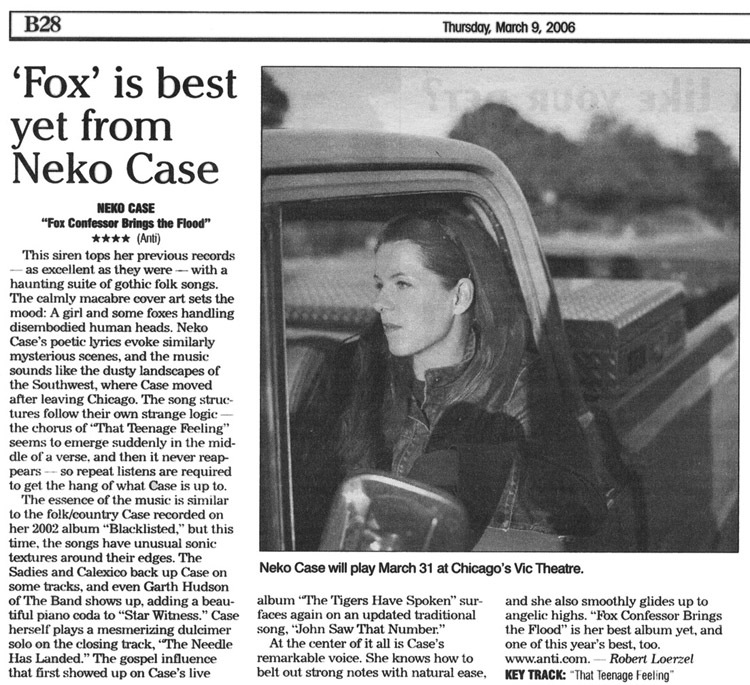 Neko Case’s poeotic lyrics evoke similarly mysterious scenes, and the music sounds like tile dusty landscapes of the Southwest, where Case moved after leaving Chicago. The gong structures follow their own strange logic — the chorus of “That Teenage Feeling” seems to emerge suddenly in the middle of a verse, and then it never reappears — so repeat listens are required to get the hang of what Case is up to. At the center of it all is Case’s remarkable voice. She knows how to belt out strong notes with natural ease, and she also smoothly glides up to angelic highs. 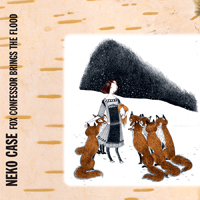 “Fox Confessor Brings the Flood” is her best album yet, and one of this year’s best, too. This review by Robert Loerzel originally appeared in Playlist magazine’s winter 2005 issue.